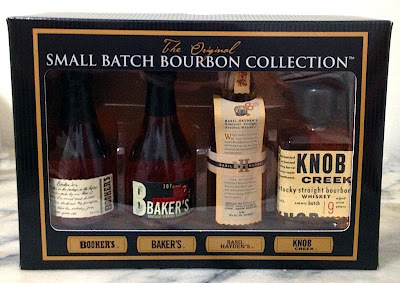 I'm a little bit late getting this review out, but if you look around you still might be able to find this set of minis from the Jim Beam Small Batch Bourbon Collection. I presume that this is a holiday offering as it does make a rather nice present to someone who might like to sample the upper reaches of Jim Beam's bourbon offerings. I picked the set up while I was in Washington over Thanksgiving weekend and found it for ~$20, which is quite respectable given that it's about half of what you'd pay to sample these whiskies at a bar. 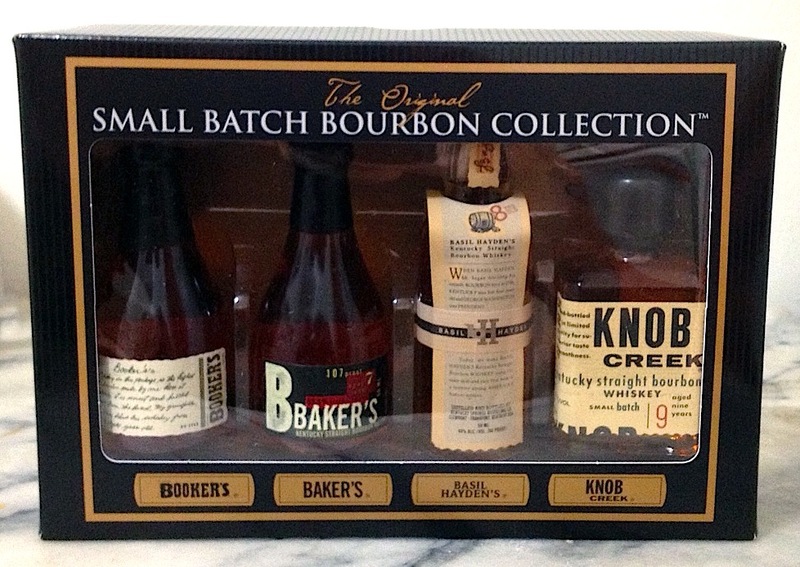 As I mentioned before, this seems to be Jim Beam's starter for the small batch collection. It clocks in at least a few dollars less than the others. As it gets more volume, it also tends to be on sale more often and can be found for as little as $23 if you look in the right place. It uses the Beam standard 15% rye recipe and shows a good balance between corn, rye and barrel influences. 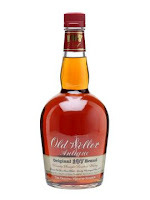 On sale, it's a solid bourbon that can compete well with a lot of other mid-range bourbons. Closer to $40 it's a harder sale, but definitely worth a try. Basil Hayden is the same juice as Old Grand Dad, but aged roughly twice as long (8 years vs. 4-or-so years) and significantly diluted down to 80-proof. Ultimately, I feel like it's just not worth it. Basil Hayden will run you at least twice what a bottle of OGD 114 goes for and doesn't pack anywhere near the same punch without bringing anything new to the table. From the copy on the back of the very gussied-up bottle, it sounds like they're trying to make this the more approachable member of the small batch collection by diluting it, but this makes no sense whatsoever to me as you can always bring down the proof in the glass by adding water yourself. I would be very interested to try this bourbon at 90- or 100-proof to see if the extra years in the barrel have contributed much, but as it stands there's just too much water for anything to stand out. Quite a disappointment, so I'm glad that I didn't buy more than the mini. This was actually my favorite of the bunch. 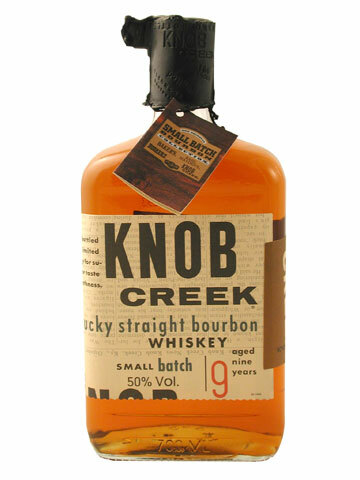 This bourbon uses the standard Jim Beam mash bill to good effect. The age seems just about right, enough to give some complexity, but not so much that it becomes over-oaked. The 107-proof gives it a solid punch, but not so much that you feel like your mouth is being burned. All of the flavor elements are well balanced, with rye spiciness, sweet vanilla, and oak all in tension, but no one flavor dominating. The mocha flavors are also quite pleasant. With all of that glowing praise though, I'm not sure all of this justifies the usual $50 price tag. There are plenty of bourbons out there that are 80-90% of the experience at 50% the cost. While I don't find it quite as transcendent as others have, this is a very excellent bourbon. At barrel proof, which is usually in the high 120s, this is a beefy bourbon in just about every respect. While it's worth it to take a few sips undiluted, the chemical burn of so much alcohol grows unpleasant fairly quickly and begs for the addition of water to bring it down to a more reasonable point. The strong chocolate flavors are my favorite part of the experience. However, as with the Baker's, I'm not sure that it justifies the $50-60 price tag. Maybe if I had a whole bottle I could make some more precise dilutions and find interesting things around 90- or 100-proof, but there are a lot of other things asking for my money that put Booker's fairly far back in the line. As I said up at the top, this is best viewed as an experience. It's pretty likely that you'll find different things in these bourbons than I did and given the low cost of admission, I'd say it's worth giving them a go. As a value proposition, the Knob Creek is still my favorite, but others in the collection might just tickle your fancy. The Arran Distillery has the distinction of being one of the newest scotch whisky distilleries, having opened only in 1995. Located on the Isle of Arran off of the west coast of Scotland, this was also the first legal distillery built on the island in 150 years. This doesn't mean that there wasn't any whisky being produced on the island during that century and a half, it's just that it was all illegal. The distillery was established at its current site due to a convergence of favorable conditions including excellent water and a climate warmed by the Gulf Stream, which makes islands on the west coast of Scotland dramatically warmer than those on the east coast. But what really matters is how the whisky tastes. One of the great things about Arran is that all of their whiskies are bottled at at least 46% and are un-chill filtered. The slightly higher than normal proof gives them plenty of room for adding water. Being un-chill filtered leaves a lot of the tasty oils that also contribute to the wonderful mouthfeel of this whisky. What I find most interesting about the Arran 10 Year is the obvious peat notes, which are odd given that the malt is unpeated. However, as the peat seems to be more vegetal rather than being smoky, my guess is that this is due to the water, which the distillery claims is naturally filtered through peat, rather than the malt. The brininess is another interesting feature, which isn't something I've experienced before in whisky, though it does get talked about frequently with reference to Islay single malts. Maybe I'll actually have to try one of those, though hopefully I can find one that isn't a complete smoke bomb. Overall I'd say that this single malt shares a fair number of flavor characteristics with another one of my favorites, Highland Park 12 Year. 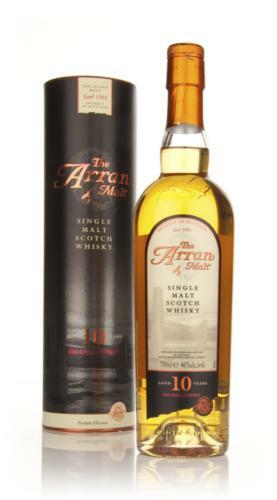 However the Arran is a little bit less aggressive and adds some other flavors to the mix. As the gift pack is currently running right around $40 here in Oregon, it's even a pretty good buy. As the Arran 14 Year has been discounted down to a measly $50, I also picked up the older bottling and should be reviewing it soon. Inspired by a post over a Chuck Chowdery's blog, I roped a few friends into a whiskey tasting this afternoon. As per Mr. Chowdery's post, the plan was to taste through a selection of whiskies that would let people get a sense of how rye content affects the finished flavors. In picking the whiskies, I tried to keep the age and proofs roughly comparable, though it was somewhat limited by the fact that I wanted to select whiskies already on my shelf. Lastly, I wanted to go with bourbons that I felt like were good values, in case people wanted to buy a bottle of their own. To open, I talked a little bit about bourbon, explaining its definition as containing at least 51% corn in the mash bill. The first bourbon on the list was a wheated bourbon, to see what a bourbon without any rye tastes like. The most famous wheated bourbon is the ubiquitous Maker's Mark. For this tasting I picked Weller Antique 107, a rather nice example of the genre. It has a fairly standard bourbon nose, with an extra touch of cinnamon sugar. The taste also follows a fairly standard bourbon mold, with the addition of a bit of wheat and a fairly healthy dose of black pepper. This is interesting as I tend to associate peppery flavors with rye, but they clearly must be coming from another part of the production. This whiskey was fairly well received, though a number of people mentioned that they found the proof a little overwhelming. Thankfully it handles water fairly well and can be brought down to a more manageable point. The next bourbon up was Buffalo Trace. As I mentioned in my last bourbon review, this whiskey has about 8% rye in its mash bill and is thus somewhere in the middle as far as bourbon rye content goes. The BT has a slightly lower proof and was somewhat gentler on that front. I pointed out the chili pepper notes that are associated with rye, though it was a bit tricky to explain the difference between pepper flavors and the chemical burn from the alcohol. 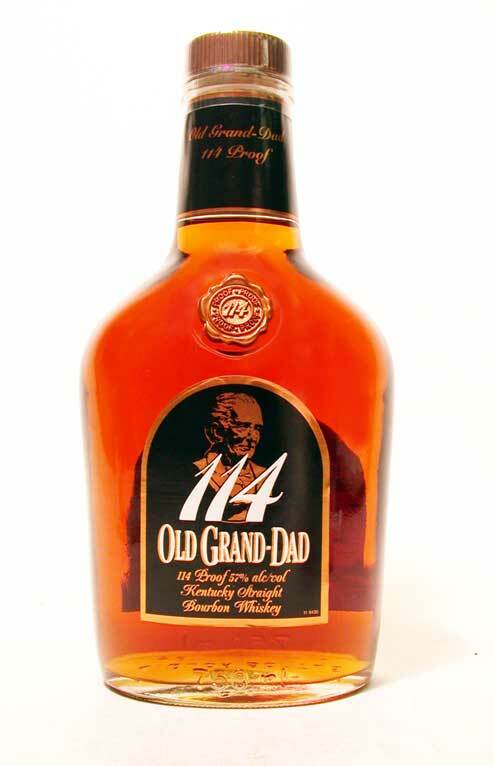 Third came Old Grand Dad 114. This was also previously reviewed in the same post as the BT, if you want more complete tasting notes. Here I wanted to emphasize the rather full-throated blast of chili pepper spice from the rye that is sustained even after watering the bourbon down to a more manageable proof. Additionally, I mentioned how the sweet vanilla tended to come out more strongly as the proof was reduced. The last whiskey was a rye, Sazerac 6 Year. I explained how rye whiskey is defined as having at least 51% rye in its mash bill. This is just over the line as a rye whiskey and thus contains a lot of bourbon character while still emphasizing the rye flavors. Though palates may have been a bit worn by this point in the tasting, the Sazerac got the best reception of any of the whiskies. The fact that it manages a good balance between corn sweetness and rye spiciness makes it a great sipper, as well as having a slightly more friendly proof. All said and done, this tasting went pretty well. I learned a few things about how to lead people through whiskey flavors and also how much more I have to learn about doing so smoothly and in an engaging fashion. Everyone enjoyed themselves and there was a lot of good conversation about the history of whiskey, especially about the effects of Prohibition. I'm really looking forward to getting people together again for another tasting, both because I enjoy sharing what I know and for the good company. The unique features of regional rums are one of the keys to tiki drinks. And one of the most important varieties is Jamaican rum, with its hefty dose of funk from the addition of dunder to the fermenting molasses mash. Dunder is the leftovers from previous distillations, which is often allowed to sit outside in open pits, where wild yeasts continue to colonize the goo, adding all sorts of unique esters and other volatile compounds that are the key to true Jamaican rum. Combine all ingredients, add a small handful of cracked ice, blend for five seconds and pour unstrained into a chilled glass with more cracked ice. As I noted, this is really a showcase for the rum. As per Oh Gosh!, I've got to agree that this is basically made for Smith & Cross. It is basically Jamaican rum in its purest and most intense form (though you might be able to say the same for J. Wray). However, until you've acclimated yourself to its particular brand of goodness, you might not want to go for a full measure of S&C in this drink (especially if you want to remain standing). I find that cutting it a bit with Appleton V/X can be a good way to dial back the flavors and proof just a bit, without losing that essential Jamaican character. 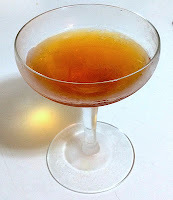 To account for the more robust character of the Smith & Cross, the recipe above bumps up the amount of honey syrup, allspice dram, pastis and bitters to keep them from being lost amid the funk. So it's all a bit of a punch in the face of flavor, but more than worth it. For a relatively short list of ingredients (for a tiki drink), this one is delightfully complex. The rum forms the core of the drink, especially if you're using Smith & Cross. Around that core is wrapped the fruit flavors of the lime and grapefruit, which bring sourness and bitterness that is counterbalanced by the smooth honey sweetness. 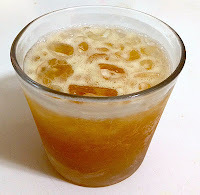 Finally, the dunder funk of the rum is backed up by the spicy notes from the allspice dram and the Don the Beachcomber one-two punch of Angostura bitters and Pernod. While some of the small batch bourbons and scotch whiskies I've been posting about lately have been great, sometimes you want a whiskey that's both tasty and easier on the pocketbook. Thankfully, bourbon remains one of the great values in spirits, so there are some really great choices out there on the lower shelves. This bourbon is truly magnificent. It was named by Raymond Hayden in the late 19th century after his grandfather Basil Hayden. Basil was a Catholic Maryland colonist who moved to Kentucky where be began distilling. Basil is purported to have used more rye in his bourbon mash than many other distillers of the time. The Hayden distillery passed through a number of hands over the course of the 20th century before becoming part of Jim Beam. The same 30% rye, 60% corn, 10% malted barley mash bill used to make OGD is also used in the swankier but lower proof Basil Hayden's bourbon, which is older but costs at least twice as much as the Old Grand Dad. This is the stiffest of the Old Grand Dad line, which includes 86- and 100-proof expressions. The lower proof versions look like they belong on the bottom shelf, but the bottle and packaging of the 114-proof version is much snazzier, even though it commands a fairly small premium over its brethren. None of the bourbons in the OGD line have age statements, but it's likely that they're aged somewhere between 4 and 6 years. This whiskey is highly recommended, especially if you're a bourbon drinker interested in moving towards the rye side. Combine all ingredients in a mixing glass and stir with ice for ~15 seconds, then strain into a chilled cocktail glass. Squeeze a strip of lemon zest over the drink or add a few drops of lemon tincture. This is a pretty tasty drink. I was inspired by the Liberal cocktail, which I didn't have the right ingredients to make. The OGD provides a nice bourbon backbone for the drink, with the graininess being most apparent in the smell. The lemon oils integrate well with the orange liqueur and bitters, with the allspice dram and Angostura bitters similarly linking together. Somehow all of these elements combine to come up with a bit of chocolate emerging from the mix. I think this would be slightly better if it was just a bit drier, but that would require using unsweetened orange liqueur liquor in place of the normal sweetened variety. A heavier hand with the bitters would also help the balance, but that would also change the flavor balance more drastically. But even as is, I'm pretty happy with how it turned out. The Buffalo Trace Distillery is owned by the Sazerac Company and produces such greats as the eponymous ryes, Eagle Rare, George T. Stagg and William LaRue Weller bourbons. However, they haven't skipped on quality when it comes to their basic bourbon. The name refers to the tracks from buffalo herds that would remain visible for some time after they had passed. This whiskey is one of my favorites and easily competes with bourbons that cost an extra $10 or more. Clocking in at a solid 90-proof, it also has no age statement, but shows the effects of plenty of time in the barrel. This is definitely one to keep around the house as it's good both as a sipper and as a base for excellent bourbon cocktails. Along with the Bourbon Special, this is one of my favorite bourbon-based tiki drinks. It could easily be built as a rum drink and provides a nice bridge into this more obscure corner of the tiki world. Buffalo Trace works more as a supporting character in this drink, giving it a solid bourbon-y background while letting the other ingredients shine. It shows up again in the finish to remind you that it's still a necessary element of the drink. The grapefruit gives the drink a bit of bitter snap, while the lime and sweeteners balance each other out. The falernum dances around everything else with its spicy notes. A very pleasant sipper. The Jet Pilot is, without a doubt, one of the best tiki drinks out there. And I have evidence to back that statement up. Or at least testimonials. Combine all ingredients, add a handful of crushed ice, blend for five seconds and pour into a chilled old-fashioned glass filled with more crushed ice. The sip begins with the pungent taste of Lemon Hart 151. This is one of those drinks that simply can't be made right without this quintessential tiki ingredient. Backing it up is the dunder funk of the Jamaican rum and the smoothness of the Puerto Rican rum. Following close behind are the sour and bitter fruit flavors of the lime and grapefruit, intertwining with the spices from the cinnamon syrup, falernum, Angostura bitters and Herbsaint. While the drink begins with a veritable punch in the face of flavor, it mellows over time as the crushed ice melts and becomes downright pleasant. This is one of my favorite tiki drinks as it has just about everything that's good about the '34 Zombie while having slightly less fiddly measurements and a slightly smaller amount of alcohol. A small word on ingredients. Obviously, LH151 is a necessity. 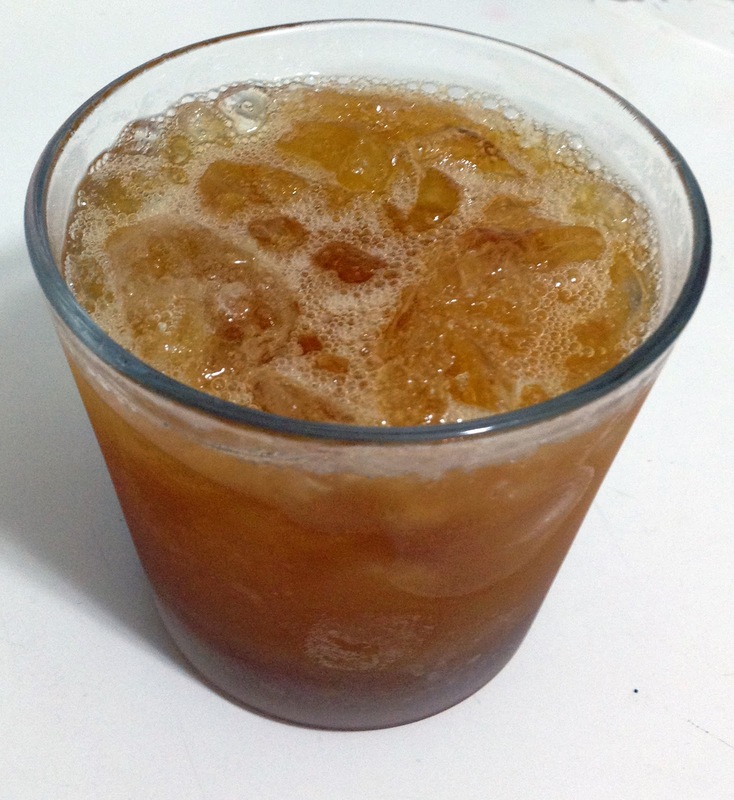 After a question on Ta-Nehisi Coates' blog, I tried making a Jet Pilot with Cruzan 151 as the Puerto Rican rum and Lemon Hart 80 as the Demerara. It was... O.K... but really not up to snuff. Acceptable in emergencies, but not really worth it now that the LH151 flows freely again. With the Jamaican, this is not the place to use your smooth, well-aged sipper. As with the Zombie, Appleton V/X is probably your best bet here, though if you want to punch it up a bit, subbing in 1/4 oz of Smith & Cross might not be amiss. Likewise with the Puerto Rican, something decent but not decadent like Flor de Caña 7 Year, Bacardi 8 Años or Ron Abuelo 7 Años should fit right in. I really prefer falernum with a bit of punch and the erstwhile Mr. Reynold's Dark Falernum really fits the bill. Lastly, the recipe calls for Pernod, but any absinthe substitute or heck, actual absinthe, will do just fine. You really don't need a lot, so an eye dropper is not out of place here. And just for fun, I also translated the Jet Pilot into a bourbon drink. This was a tricky one to make. The most obvious difficulty is finding something to stand in for LH151, both in terms of flavor and plan alcoholic strength. Sure, there's HazMat-level George T. Stagg 144-proof bourbon, but that's both expensive and nearly impossible to get your hands on. Booker's bourbon is up at a slightly less stratospheric 126-proof, but is also a bit on the pricey side for dumping into a rather complex cocktail. So Weller 107 will have to do, but proportions had to be slightly altered to compensate. The other tweaks were swapping in lemon juice for the lime, as I find that lemon juice fits with bourbon a bit better, and adding a bit of orgeat to smooth out the drink. Overall I was pretty happy with the results. It doesn't have quite the same punch as the Jet Pilot, but the bourbon manages to hold its own and integrates quite nicely with the other flavors. 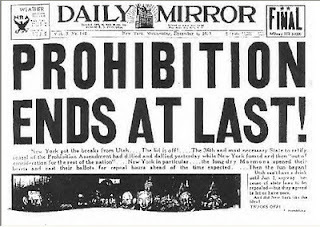 Once again it's time to celebrate Repeal Day, as December 5th marks the end of Prohibition and the return of sweet, sweet liquor to America. Prohibition represented a dark day in American history, when we collectively decided that people shouldn't be able to make their own decisions about what to consume and went so far as to put it into the Constitution. Now admittedly, as I've mentioned before, America was an awfully hard-drinking nation back in the 19th century. The attendant problems of alcohol consumption drove many Progressives to advocate for temperance as there was a wide-spread belief that alcohol was at the root of many societal ills and that sobriety would lead to a veritable utopia. Some worked through social pressure, others by force of law. Obviously we all know how well that worked out. There's strong evidence that alcohol consumption increased during Prohibition compared to before enactment of the law. Crime increased as the mob gained power, money and influence. Respect for the law decreased, both because of the manifest absurdity of Prohibition and the woeful ineffectiveness of local, state and federal enforcement. It took the Depression and the desire for new tax revenues to finally turn the tide and Prohibition was officially repealed on December 5th, 1933 when Utah (who'd a thunk it?) ratified the 21st Amendment, crossing the three quarters threshold needed to enact the statute. So raise a glass to celebrate a small return to sanity and personal responsibility. I'm currently enjoying a glass of rum distilled here in the good ol' U.S. of A. Many thanks to Jeffery Morganthaler, who created the Repeal Day holiday. If you like, you can personally thank him by dropping by Clyde Common where he currently manages the bar.